That's Solent breached broadcasting code after showing a woman being stabbed 17 times at teatime. 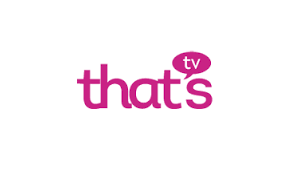 Ofcom has placed local TV operator That's Media on notice that it will be monitoring the technical quality of three of its local channels following complaints about the output of the channels. During an investigation following a number of complaints from viewers, Ofcom found that output on the channels - That's Manchester, That's Oxford and That's Solent - suffered from a string of technical faults, including inconsistent sound levels, pictures freezing and jumping, inaccurate listings on the Electronic Programme Guide and credits running during rather than at the end of a programme. Responding to Ofcom's investigation, That's Media said that it was in the process of rebuilding its systems and moving services to a new infrastructure. Despite objections by That's Media, Ofcom confirmed in its latest Broadcast Bulletin that it was putting the local TV operator on notice that they may monitor the output again in the future "to ensure that the technical quality of the services ... is of a sufficient standard." Meanwhile, That's Oxford, now branded on-screen as That's Oxfordshire, was reported being off air during the weekend, with viewers on Freeview channel 8 seeing an off-air slate. The channel has announced that it will be showing BBC Radio Oxford's breakfast show in a six month trial starting soon. And That's Solent was found in breach of the broadcasting code after showing a violent scene at 7:20pm in the evening, showing a women being stabbed 17 times, with some scenes in slow-motion and clearly showing the knife entering the woman's body and cutting her flesh. Although That's Solent apologised for the incident, which happened in an episode of the sci-fi series The Adventures of Stephen Brown, Ofcom decreed it was a "clear breach" of rule 1.1 of the code. The BBC should be slammed for their very inconsistent sound levels - both within and between programmes. That's the Shambolic BBC for you. Blaming the BBC for channels they have control over, and no connection to? Well, that's sensible... NOT!